Focus Tai Chi | Transform Your Life - Naturally! 90% of all doctors’ visits in America." What if you could eliminate even half of your visits? Tai Chi/qigong with Keith helps with my stress and anxiety. I love going to class because he makes it so fun. I am always learning new things and really happy I started the Qigong exercises. I would not miss it for the anything! Tai Chi and qigong with Keith Brewer are the ultimate combination of exercise, stress reduction and mental focus. With his unique experience anyone can learn to practically apply this ancient art to modern day existence! Inspirational and engaging, Keith Brewer shows anyone how to quickly lower their stress levels. Stress is not only a killer but costs industry billions of dollars in sick days and absenteeism. Using simple breathing exercises combined with slow, gentle movements from the ancient Chinese healing art of qigong (pronounced chee-gong), without medication or special equipment, Keith shows how to lower stress, as well as problems with high blood pressure, headaches, and chronic pain. Keith became fascinated with qigong and tai chi after they changed his life at an early age. By the time he was 10, the doctors had all said the same thing: his skeletal issues were too severe and he would end up in a wheelchair by the time he turned 13. 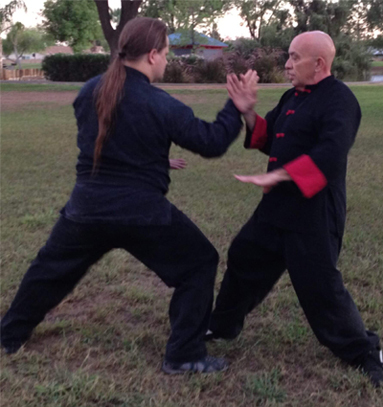 However, thanks to qigong and tai chi, today Keith is a fully able martial arts and qigong instructor. As a result, Keith now shares how anyone can accomplish similar feats. Safer and easier than yoga, tai chi and qigong are endorsed by leading medical institutions, such as the Mayo Clinic, to relieve the many stresses of modern life, both mental and physical. 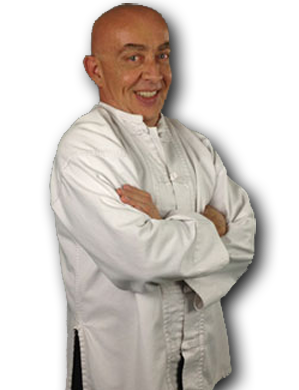 Keith is an advanced tai chi and qigong instructor with the American Tai Chi & Qigong Association. He teaches tai chi, qigong, and kung fu at the Pacific College of Oriental Medicine in Chicago, where he is studying for his doctorate. He is also in the diplomate program at the Institute of Classics in East Asian Medicine. Keith Brewer is the author of Let's Get Pregnant: Little-Known Traditional Chinese Medicine Methods to Boost Fertility, as well as several DVDs. Copyright © 2018 Focus Tai Chi , all rights reserved. DISCLAIMER: The testimonials on the Focus Tai Chi website are individual cases and not a guarantee that you will obtain the same or similar results. The articles and information herein must not to be copied without written permission (but it’s usually easy to get from us). The statements made on this website have not been evaluated by the U.S. Food & Drug Administration. The products sold on this website are not intended to diagnose, treat, cure, or prevent any disease. The information provided by this website or this company is not a substitute for a face-to-face consultation with your physician and should not be considered individual medical advice.